Khelo Rugby’s great friend Kavita has made a super little video for us. 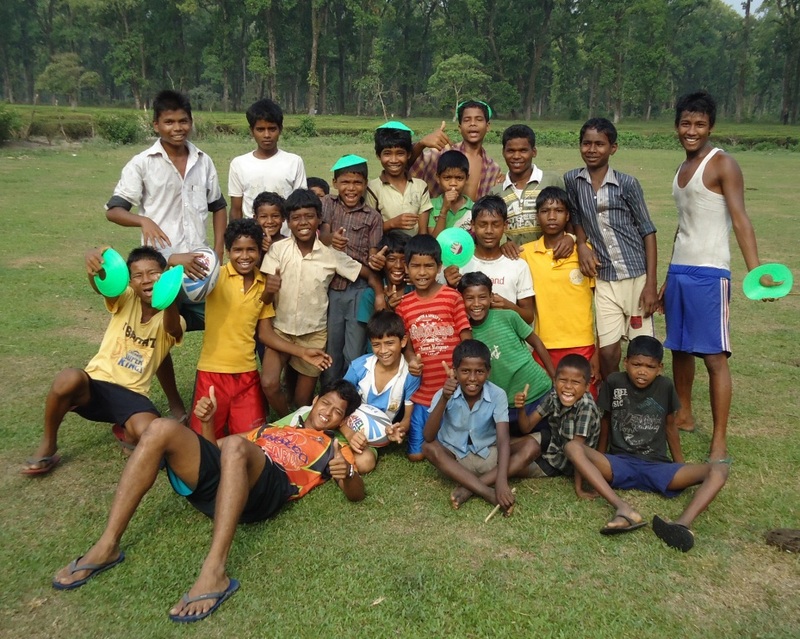 Features children from Salt Lake Dhapa, Howrah Dhapa and Bijoy Basu. We were lucky to film in these places with some of the heaviest monsoon rains falling continuously. Please do take a look, it’s less than 2 minutes and great fun……enjoy! My name is Amirul and I have lived my whole life in Kolkata. I started playing rugby more than 4 years ago and I really love playing and training with my team the Jungle Crows. Our team is pretty good and I play for our second team called the Maidan Hazards (the Maidan is the big park where we practice in the centre of Kolkata). The founder of our club is Paul and he comes up with all these names, like Crows, whoever would have thought to name a rugby team after a squaky Crow or Hazards. But we’ve been a Hazard to many a team in India and are growing stronger and stronger and now we can beat the Crows as well! Not long after my brother Zaffar (not my real brother but my rugby brother) started Khelo Rugby I was selected to be a Community Rugby Coach for Khelo Rugby. 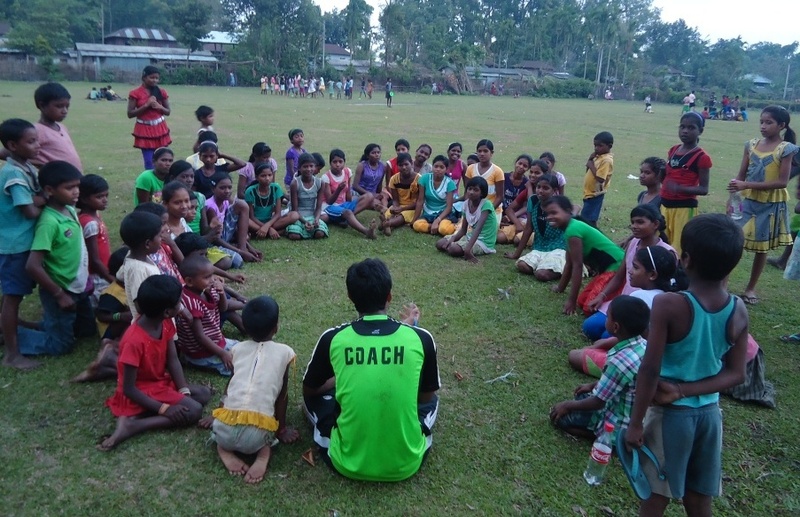 I mainly coach and spend time with the children in the communities around where I live which is Kidderpore, near the docks and river area of Kolkata. People are sometimes a bit nervous about Kidderpore but it’s my home and I love the area very much. 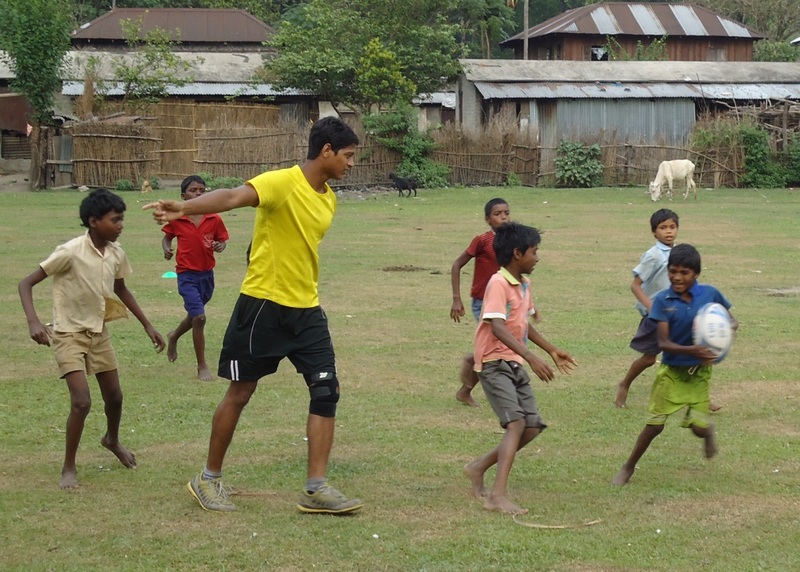 Earlier this year I was selected to lead a new Khelo Rugby project we were putting together in the North of Bengal in a very rural village called Saraswatipur, the nearest big town is Siliguri. Read Hari’s blog post, “Rugby Brews Up in the Jungle” to find out how the setting up of the project went. Anyway last week I went back to Siliguri to take admission to College and again visit Saraswatipur village. I have been given the chance by the Jungle Crows Foundation to go and stay in Siliguri as they will sponsor my stay and college, this is really very excting for me. I will be able to carry on coaching in the village and I will start more coaching and grow rugby across the whole town and countryside. I had never thought I would have chance to go to College and now I will study hard and be able to help my family. As soon as we arrived in Siliguri on Saturday we made our way out to Saraswatipur and met all the children again, they were so happy to see me and this time I had two other Jungle Crows players Sanu and Arun with me. This was Arun’s first visit to the village and he thought it was a very amazing place, he really loved it. But he was very nervous about the elephants. In the village it can be dangerous to go out after dark as lots of wild elephants are there and they have even killed people. We didn’t tell him there was also an elephant living near the village with the Park Rangers. When we were drinking tea in the evening this elephant came past, Arun was very scared and tried to hide until we told him that this was a friendly elephant! On Sunday we ran a small tournament and could see straightaway that all the children had stayed practicing, they really are good at rugby. We had also collected up a big big bag of clothes from friends in Kolkata so at the end everyone got a new t-shirt or shorts. The children in Saraswatipur really don’t have much clothes, much of anything really so it was nice to be able to hand over something that would be useful for them. I had to ruturn to Kolkata the next week, but even that was good as our Maidan Hazards won the Centenary Cup Plate tournament beating the Kolkata Police Sergeants team. They got a little bit angry as most of our players are much smaller and younger than them, they thought they’d win easily but we beat them 24-10. So next week after my Eid I will be packing my bags to return to Siliguri to a new part of my life. I will have a friend Sanu who is also continuing his school in Siliguri. 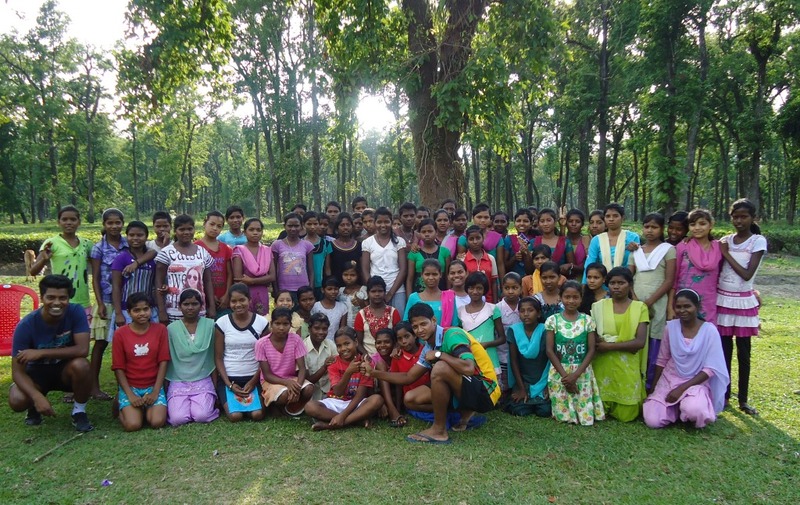 We will have great times making a whole new rugby community in Siliguri, making sure the children of Saraswatipur are doing well and working hard for our future also. On My Big Rugby Adventure!